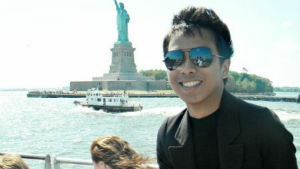 Gabriel Billones, an aspiring journalist from the Philippines, expected American culture to resemble what he saw in the movies. Gabriel was especially impressed with the diversity of the United States and with cultural celebrations, especially Americans’ patriotism on the Fourth of July. Although Gabriel loved his time in Indiana, his most memorable moment was his trip to New York City. “Always plan ahead,” says Gabriel.